We believe athletics is an integral part of a child’s ability to become a well rounded individual. Athletics promote a sense of sportsmanship and fair play as well as good overall health. Saint John’s students from grades Kindergarten through 8th enjoy regular gym class and recess in addition to the extra-curricular competitive athletics programs. 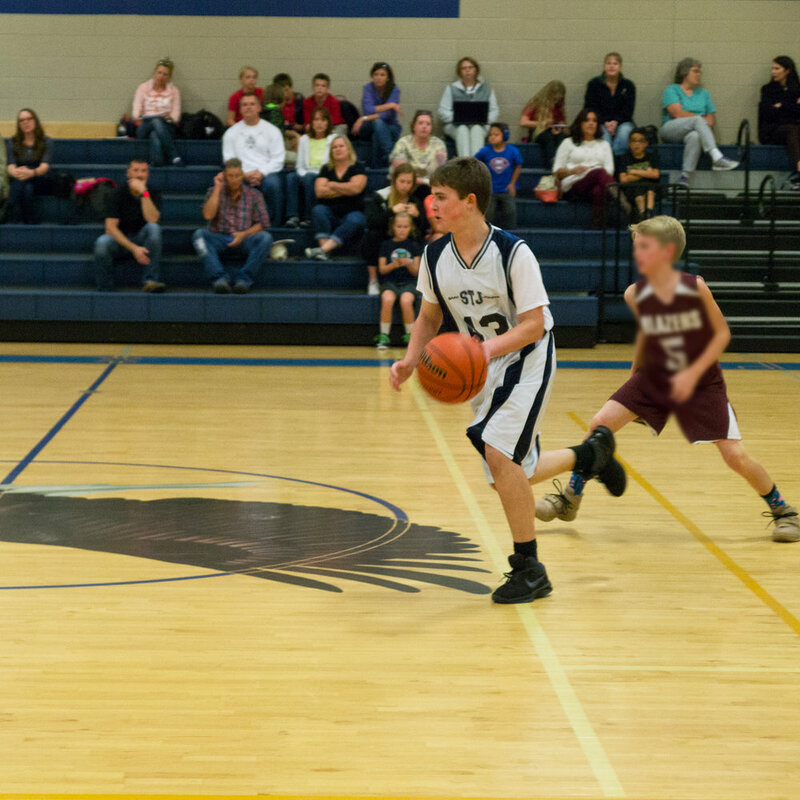 St. John the Evangelist Catholic School in Loveland, Colorado offers Middle School Athletics for grade 6-8. We have Girls Volleyball, Boys Basketball, Girls Basketball and Boys and Girls Track and Field. 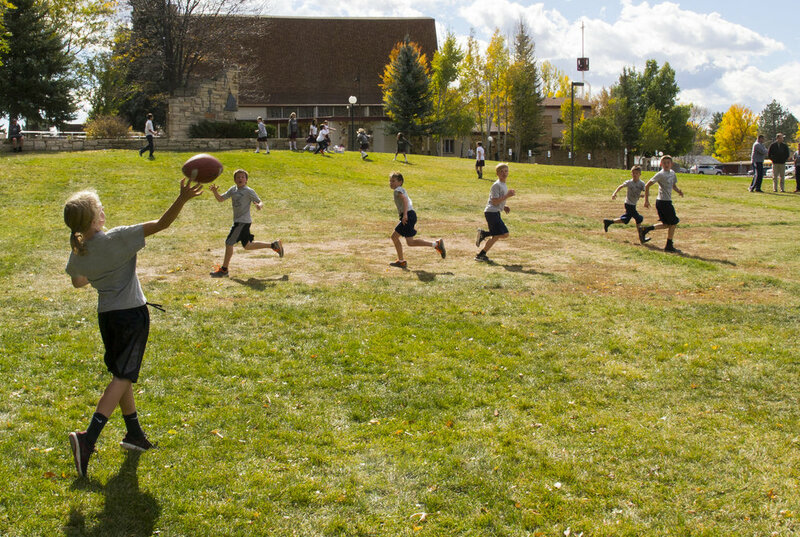 St. John's students compete in the Northern Colorado Independent League against other Loveland and Ft. Collins charter schools and private schools. Students who attend St. John's aren't limited to participating in sports at St. John's. The public school system offers athletic opportunities to all private school students and parents can pick which school the student will play for. There are also a number of highly competitive leagues that our students play for. In addition to physical education, recess, and extra-curricular sports, St. John's hosts an all-school field day in the fall and a walk-a-thon in the spring to encourage our families to lead healthy and active lives.